A WARNING HAS COME FROM THE IGBO CANADIAN COMMUNITY ASSOCIATION, ICCA saying the Federal government of Nigeria should tow the path of due process and peace to speedily release Senator Enyinnaya Abaribe, a parliamentarian representing Abia South Senatorial District and Chairman, Senate Committee on Power, Steel Development and Metallurgy. ICCA, in a press statement signed by Ahaoma Kanu, Public Relations Officer, it lashes out at agents of State Security Services, DSS, and emphasize repercussions if this warnings are not adhered by the Nigerian presidency. For the records, DSS had on Friday arrested Sen. Abaribe in his house in Abuja without disclosing the reason for his arrest. They also have sealed his home. Okoro further stated that “it is not a hidden fact that Sen. Abaribe has constantly been making earth quaking revelations on the magnitude of corruption going on within the Presidency especially on budget padding, so using the DSS to silence him was activated obviously. “It is very worrisome that President Buhari who came into power on a message of fighting corruptions will be condoling unwarranted attacks of persons who try as much to expose corrupt practices. This tendency, which has been the modus operandi of the Buhari government, to use state agencies to intimidate persons he feels are being critical of his government makes a charade of the Whistleblowing Policy of the government. The President ought to look deep within his kitchen cabinet, identify and adequately prosecute those within his ranks found culpable. “It is also disheartening and immoral that the DSS has not given reasons why Sen. Abaribe was arrested. 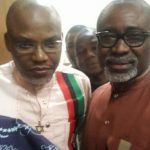 We raised this concern because we are aware of the order by Justice Binta Nyako of the Federal High Court Abuja that Sen. Abaribe should produce our son and leader of the (Indigenous People of Biafra), Mazi Nnamdi Kanu, in court on June 26, 2018 as one of his sureties, why then will the Federal Government arrest him before the court date?” Okoro asked. 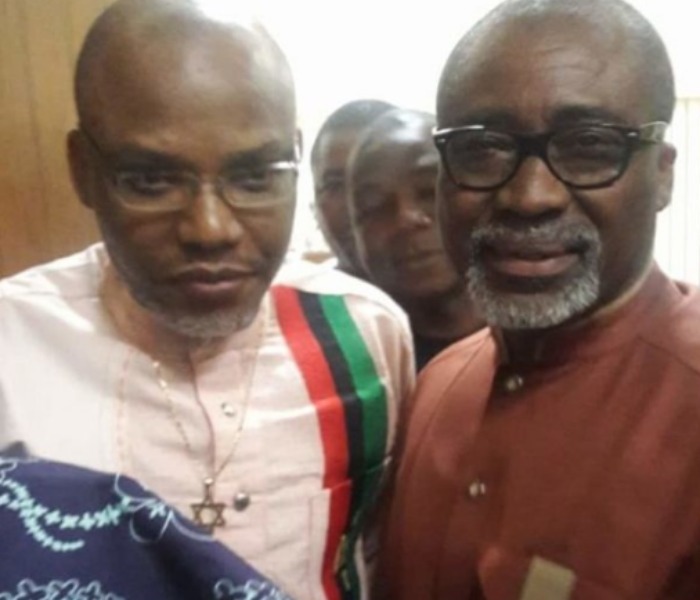 ICCA/Umunna stated that in the coming days they will unveil the plans the association has on demanding from the Federal Government the whereabouts of Mazi Nnamdi Kanu. “This week we received the report from the International Society for Civil Liberties (Intersociety) on the list of names of Igbo sons and daughters massacred by the Nigerian Army during the infamous Operation Python Dance exercise in 2017 and we will be starting processes to make sure that the FG and all the state governments in the South-East will open up a Panel of Enquiry on the issue. “We will be communicating with the governors of the five Igbo states on this and also amplify pressure both within and outside the country on our demand for the Federal Government to produce Mazi Nnamdi Kanu and reestablishment of the rich Igbo cultural identity, enhancing and strengthening the cords of unity and bonding among Igbo speaking people in Nigeria and the diaspora, advocating and agitating in a peaceful manner in all causes pertaining to Igbo people. Founded in 1970 at the end of the civil war.